The article, “Oceans Are Warming Even Faster Than Previously Thought” by the University of Berkley adds to the ongoing conversation about global warming and our world’s future. This research expands on the idea that scientists must look at ocean temperatures in order to fully understand this phenomenon instead of using data that is susceptible to yearly changes like El Nino. Evidently, it was estimated that ninety-three percent of excess solar energy is in the world’s oceans, thanks to greenhouse gases. Models like the Coupled Model Intercomparison Project 5 state that the temperature of the top two thousand meters of the ocean will rise .78 degrees Celsius by the end of the century. Thermal expansion, because of this rise in temperature, will cause sea levels to rise 12 inches without the addition of melting glaciers and ice sheets. 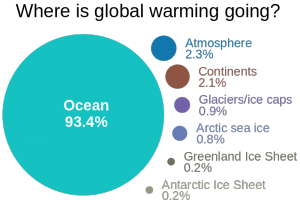 In addition, the Intergovernmental Panel on Climate Change’s (IPCC) Fifth Assessment Report accumulated that research models have shown that there has been a faster increase in the excess heat from the oceans. Moreover, around four thousand “diving robots” called Argo have been monitoring many of the oceans conditions like the temperature, pH, salinity as well as other data. Before this exciting new technology, most of the data was collected using a technology called expendable bathythermographs. However, this only collected data on water temperature only once. The updated research techniques use the atmosphere’s oxygen content to determine the speed of global warming while taking into consideration burning fossil fuels, of course. This is because warming oceans release oxygen. Overall, I believe the path that global warming scientists are beginning to explore is crucial to understand the necessary changes we must take to take care of planet earth. From this research, it is obvious that actions even as simple as recycling initiatives are crucial to reduce greenhouse gasses and hopefully prove the CMIP5 model and other models wrong by slowing down or even preventing global warming and climate change. Humans are continuing to alter the atmosphere by their activities and most human-induced methane comes from livestock and landfill. But what people might not know is that micro-organisms have been doing this for billions of years. Microbes are responsible for producing the methane. Microbes found in wetlands produce 160 million tons of methane a year and microbes that live in termites release 20 million tons. Microbes also play a role in the amount of carbon absorbed and released from the atmosphere by the ocean, which is about 90 million tons a year. The combination of primary production and microbial decomposition on land leads to 120 billion tons of carbon taken in every year and 119 billion tons of carbon released. Photo of climate change from Pixabay. Dr. Reay claims, “The impact of these microbially-controlled cycles on future climate warming is potentially huge”. It is important to better understand these processes in order to take more carbon out of the atmosphere by using microbes in the sea as well as on land. 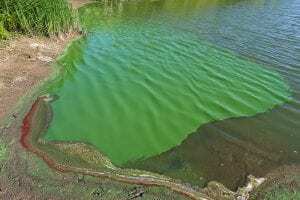 Picture of Cyanobacteria from Wikimedia Commons. Bacteria can be used to catch methane that is released from landfill, Cyanobacteria could potentially provide us with hydrogen fuel, and plankton are continuing to become a feedstock for some biofuels. Either way, it is crucial to understand microbes in order to know whether they will help us to avoid climate change or will push us faster towards it. Climate change has been a recent concern as it affects all aspects of human life. More evidence to climate change and the rise of sea levels was expressed in a very recent study conducted by IMAS PhD student: Alessandro Silvano. By doing so, he ultimately found that this process quickens the rate that ice melts and sea levels rise. The study was conducted using ocean measurements off the coast of east Antartica. The study showed that glaciers are freshening the ocean, as the glaciers do not consist of salt. This dilutes the natural salt content of the ocean. He found that the melted water from the glaciers causes the ocean’s surface layer less salty and more buoyant, which prevented deep mixing during the winter months. Therefore it allowed warm water to retain its heat and melt glaciers from below. This process allowed the water to exist in layers, similar to when one attempts to mix oil and water. 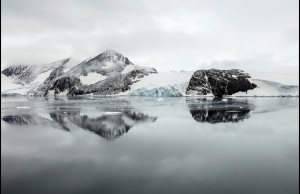 The study found a positive feedback mechanism, in which glacial melt water caused further melting of ice shelves, leading to an increase in sea level. In some areas around Antartica, the study also found fresh meltwater decreased the formation and sinking of dense water. This results in decreasing the rate of ocean circulation, which stores heat and carbon dioxide. Because the cold glacial melt waters cause a slowing of the currents, which then decrease the ocean’s ability to decrease carbon dioxide and heat from the atmosphere. These two processes feed off of each other and induce and speed up climate change. I enjoyed reading this article because I am personally passionate about decreasing the rate of climate change and educating myself on global warming. Backing global climate change due to its concerning effect – only one of which is sea level – with scientific evidence is important for gaining support of our communities. 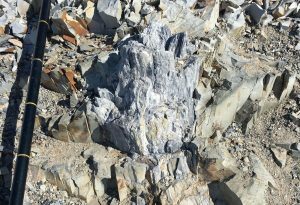 Geologists have discovered 280 million year old tree fossils, which could be evidence of the oldest polar forest in Antarctica. The scientists had previously found 260 million year old tree fossil fragments, and returned to find out how a forest could have flourished there. Professor Gulbranson, one of the geologists on the expedition, believes the trees must have been an extremely hearty species to survive, and “The trees could turn their growing cycles on and off like a light switch. We know the winter shut off happened right away, but we don’t know how active they were during the summertime and if they could force themselves into dormancy while it was still light out.” The polar forest grew at a latitude (geographic coordinate– location) where plants can no longer grow today, and they grew in nearly half a year of darkness and five months of continuous light. They were able to grow in these conditions because they grew during the Permian Period, where Antarctica was much warmer than today and part of Gondwana (A supercontinent which was part of Pangea). One of the biggest challenges for the team was dating the trees. The trees could be 20 million years older or younger than their dated age of 280 million years because of the margin of error. They are still researching why polar ecosystems changed during the mass extinction at the end of the Permian period, but their current theory is that 90% of all species were wiped out because of higher global temperatures and ocean acidification. Professor Gulbranson believes his work could help understand the effects of contemporary climate change. The laughingstock of biology classrooms everywhere, the footnote to Charles Darwin and his widely acclaimed theory of natural selection, the scientist who has caused many a biology student to stop and wonder why he or she should even know his name, Jean Baptiste Lamarck has gotten a bad rap among student’s across the country. Predicting that evolution in species resulted from individual species adapting to their environment and morphing their bodies to better survive and reproduce, passing their adapted traits to their offspring, Lamarck has been criticized by students everywhere for simply not being correct. However, he wasn’t entirely wrong. Recent research conducted in the Gulf of St. Lawerence off the Labrador Peninsula has revealed that skate fish in the area have developed differences in terms of size from other skate fish because individual organisms are able to turn on and off select genes. The ability to turn on and off certain genes in organisms based on environmental conditions and pass those changes to offspring is called epigenetics. Epigenetics allows individual organisms to change their traits slightly to adapt to their environment. Where evolution by natural selection takes millions of years and results in the evolution of populations on a macro scale rather than individual organisms, epigenetic changes are much quicker. 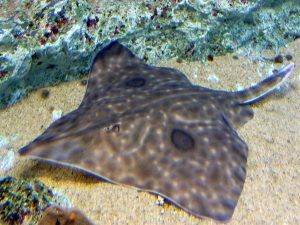 Researchers were attracted to studying the winter skate fish in this bay because though the fish lies all along the North American coast, in this bay, the fish tends to be significantly smaller than other members of its species. Scientists attribute this to the warm water in this shallow water area which makes smaller organisms more likely to survive and reproduce. However, DNA tests showed that significant changes in the genome of the fish weren’t what made them smaller, indicating it wasn’t Darwinian natural selection that dominated this process. The researchers discovered that the fish could turn on and off certain pieces of DNA in individual organisms to better adapt to the environment. Thus, the fish are able to adapt more quickly to changes in temperature than other organisms that rely solely on natural selection for changes to their traits. Thus, Lamarck wasn’t entirely wrong all along (just mostly!). The researchers hope this new information will help with conservation efforts and will give more insight into how species adapt to climate change. So, do we owe Lamarck an apology? How can conservationists use this information to draw more interest to their goal? Climate change is an element in our world which has been around for many years. It has been believed to cause warmer oceans and erratic weather, but a new study, according to scientists, declares it also has the potential to alter the shape of the planet we live in. 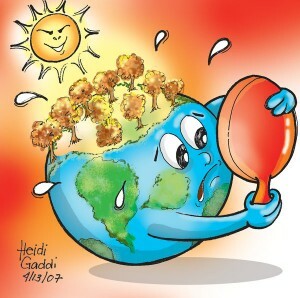 Global Warming is a gradual increase in the overall temperature of the earth’s atmosphere generally attributed to the greenhouse effect caused by increased levels of carbon dioxide, chlorofluorocarbons, and other pollutants. (read more about Global Warming) Michele Koppes, assistant professor in the Department of Geography at the University of British Columbia, conducted a five year study in which she compared glaciers in Patagonia and in the Antarctic Peninsula. Koppes and her team discovered that glaciers in warmer Patagonia moved faster and caused more erosion than those in Antarctica, as warmer temperatures and melting ice helped lubricate the bed of the glaciers. Glaciers erode 100 to 1,000 times faster in Patagonia than they do in Antarctica. “Antarctica is warming up, and as it moves to temperatures above 0 degrees Celsius, the glaciers are all going to start moving faster,” states Koppes. These ice sheets are apparently beginning to move faster and should become more erosive. As a result, this will dig deeper valleys and shed more sediment into the oceans. The outcomes of this erosion add to the already complex effects of climate change in the polar regions. “The polar continental margins in particular are hotspots of biodiversity, If you’re pumping out that much more sediment into the water, you’re changing the aquatic habitat,” Koppes states. The Canadian Arctic, one of the most rapidly warming regions of the world, will most definitely feel these effects. These glaciers are on the verge of a major shift. The Canadian Arctic is becoming warmer in temperature more than four degrees Celsius spanning over the last 50 years. These glaciers will be flowing up to 100 times faster if the climate continues to shift and shifts above zero degrees Celsius. The findings by Koppes settle a scientific debate about when glaciers have the greatest impact on shaping landscapes and creating relief, suggesting that they do the most erosive work near the end of each cycle of glaciation, rather than at the peak of ice cover. If global warming continues to occur, change in formation of landscape due to higher water levels from melting glaciers is a strong possibility and may already be taking place. 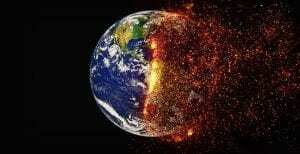 This will significantly affect all forms of life on earth. 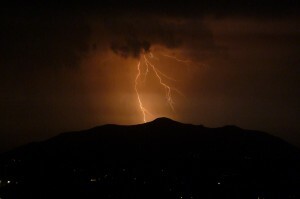 University of California Berkley scientist David Romps and his colleagues analyzed 11 different climate studies and concluded that changing climate will include increased lightning strikes. The studies, focusing on cloud buoyancy and precipitation, showed an increased amount of water vapor due to warming air. Water vapor is the fuel for for thunderstorms and explosive deep convection in the atmosphere, and with increased amounts in the atmosphere the frequency and ferocity of these storms will increase. Precipitation-the total amount of water hitting the ground in the form of rain, snow, hail, sleet, etc.- is essentially a measure of how conductive the atmosphere is. Buoyancy is measured in the form of CAPE, convective available potential energy. This measures how potentially explosive the atmosphere is. Romps found that by analyzing these two factors he could accurately predict strength, frequency, and size of storms. A certain purplish-blue banded snail was rediscovered after initially deemed extinct by the general scientific community, stirring up the minds of the many who continue to debate the effects of climate change and what living things directly suffer its consequences. Firstly declared extinct by a highly regarded Seychelles mollusk expert, Dr. Justin Gerlach, the snail’s reclassification has caused backlash in the scientific community. With such a confident course of action in not only the declaration of extinction, but also the citing climate change as the primary reason, it is understandable and necessary that scientists should view this case with scrutiny and care. Gerlach attributed an insufficient amount of rainfall to the snail’s extinction, which he suggested was in direct association with climate change. Not alone, other scientists also backed his claims, agreeing that climate change caused immediate ramifications for this banded snail. As for the future, the rediscovery of this species can hopefully serve as an example of the disillusionment that can arise from a hyped phenomenon. Yes, climate change is one great problem, but it is one of many, and we must hold ourselves accountable to where our conclusions derive from. The only current certainty is that we have to do a better job at limiting these debilitating factors. Recently in Southern Utah it has come to the attention of many ecologists that the tree species, whitebark pines, is on the cusp of becoming an endangered species due to climate changes and droughts in the south. As a quick solution, some members of the scientific community have suggested “assisted migration” whereas humans would restore the whitebark pine population by dispersing its seeds from areas of the hot south to more adaptable, cooler weather up north. To put this proposition to the test, graduate student, Sierra McLane, under Dr. Sally Aitken of the University of British Columbia, conducted a study and spread the seeds of whitebark pines throughout much cooler and consistent weather of the British Columbian mountain ranges. As a result, 20% of the seeds germinated and continue to grow here, allowing McLane to affirm that whitebark pines would successfully grow in the colder climate. Despite her evidence, McLane, along with many other scientists’ “assisted migration” is bound more by an ethical dilemma than biological. 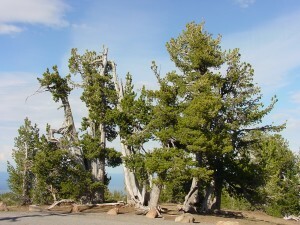 Although it is clear that these whitebark pines are a crucial species to provide animals, like bears and birds, with food and shelter, some scientists are skeptical over how easily these animals will be able to adapt to the change in their location and others are morally conflicted over whether humans should interfere with nature thus changing the future. While assisted migration continues be deliberated by scientists as a possible solution to the threatened whitebark pine tree population, what is your attitude on the subject? Do you believe it is our moral responsibility to “take care” of the environment or should we not interfere with the natural selection of wildlife? Deforestation has always been viewed as a problem by modern observers. No one can deny that the cutting down of forests is necessary for economic development and continued prosperity in some lumber rich nations, however, things are getting out of control. In a recent study, it was revealed that a total loss of 2.3 million acres of forest was destroyed in between 2000 and 2012. To put that amount in perspective, it is equivalent to six Californians or the entirety of the United States east of the Mississippi River. This massive loss of forest land was countered by a gain of only .8 million acres, resulting in a 1.5 million acre net loss of forest land around the globe. According to Ritchie King, a reporter on the subject, “Deforestation at this scale is having a tremendous ecological impact, on both species and climate. From 2000 to 2011, deforestation effectively added 14.5 billion tonnes (16 billion tons) of carbon to the atmosphere, about 13% of the world’s total contribution to climate change.” Some nations who, in the past, have been the greatest culprits of deforestation, such as Brazil, have cut back their logging and have greatly reduced the rate at which land is cleared, however, in other parts of the world, particularly Indonesia, (if you scroll to the bottom of the article there is a graphic) deforestation has sped up rapidly. Not only does deforestation threaten the world as a whole through the production of a large precent of the earths greenhouse gases, but it also threatens the delicate forest ecosystems around the world. Heavy deforestation in areas with Rain forests, such as Brazil and Indonesia threatens the unique species of plants and animals which live there, and threatens to reduce the biodiversity present on Earth. When one usually thinks of a coral reef they think of bright vibrant colors… this may not be the case anymore. A recent study has found that climate change may be depleting coral of its color. 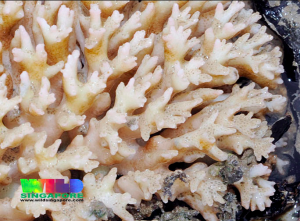 In a process called “bleaching” the color is removed from the coral when the symbiotic algae that provide nutrients to the coral either lose their photosynthetic pigmentation and their ability to perform photosynthesis or disappear entirely from the coral’s tissue. While this strange and disturbing phenomenon has been receiving a lot of attention, there is very little concrete knowledge about the exact molecular process that causes the bleaching. Many hypothesized that the bleaching is a result chloroplast damage due to heat stress, which results in the production of toxic, highly reactive oxygen molecules during photosynthesis, they are linking the origin of the heat stress back to climate change. While their initially theory was incorrect, this research has now motivated further study into the molecular functions of coral as well as further efforts toward coral preservation.